Big Dreams Embroidery: Spool of Thread Banner ITH Project all made in-the-hoop. Spool of Thread Banner ITH Project all made in-the-hoop. 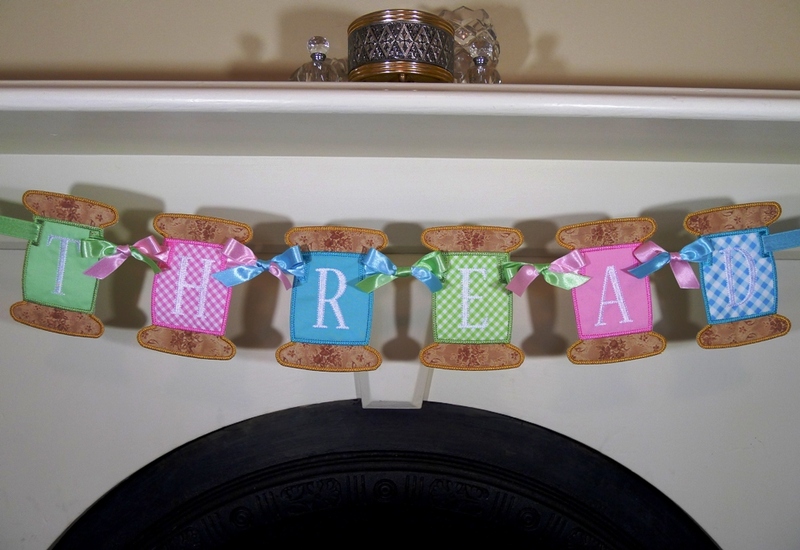 Dress up your sewing room or make a clever sign for your sewing business with this fun banner! Add letters or designs from your embroidery machine or personal files to personalize this banner further. 4x4 hoop - 3.93" x 2.84"
5x7 hoop - 5" x 3.61", 6" x 4.32" and 7" x 5.03"
6x10 hoop - 8" x 5.75"
- SPOOL OF THREAD BANNER ITH Project in the hoop in the format of your choice. PLEASE NOTE: This banner does not come with any lettering. Use letters from your embroidery machine or personal files.